Is the coexistence of science and religion possible today? The question keeps coming up in all sorts of places. On one level I’m always surprised because we have so many examples of scientists who are deeply religious as they become distinguished through discoveries in their respective fields. This isn’t something new. Throughout history we can find scientists who also happen to be religious leaders, breaking bounderies in scientific development, even those challenging the mainstream beliefs and values held by their respective traditions. So the question is: how do people learn to live in harmony with their passion for science and their appreciation and practice religion? Below are five examples of people who seemed to succeed in that quest. They are scientific leaders from different faiths who left their mark with notable scientific discoveries and exploration. On September 18, 2006, Anousheh Ansari captured headlines around the world as the first Muslim female private space explorer. She also earned a place in history as the fourth private explorer to visit space and the first astronaut of Iranian descent. She blasted off for an eight-day expedition aboard the International Space Station as part of the Expedition 14 crew of the Soyuz TMA-9. Gerty Theresa Cori was an American biochemist who became the third woman – and first American woman – to win a Nobel Prize in science. After she graduated from medical school, she converted from Judiaism to Catholicism. With her husband Carl and Argentine physiologist Bernardo Houssay, Gerty Cori received the Nobel Prize in 1947 for the discovery of the mechanism by which glycogen – a derivative of glucose – is broken down in muscle tissue into lactic acid and then resynthesized in the body and stored as a source of energy (known as the Cori cycle). They also identified the important catalyzing compound, the Cori ester. In 2004, both Gerty and Carl Cori were designated a National Historic Chemical Landmark in recognition of their work in clarifying carbohydrate metabolism. Homi Jehangir Bhabha, an Indian nuclear physicist, was founding director and professor of physics at the Tata Institute of Fundamental Research. 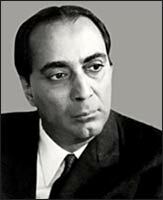 Colloquially known as “father of Indian nuclear programme,” Bhabha was the founding director of two well-known research institutions, namely the Tata Institute of Fundamental Research (TIFR) and the Trombay Atomic Energy Establishment (now named after him); both sites were the cornerstone of Indian development of nuclear energy, which Bhabha also supervised as its director. Subrahmanyan Chandrasekhar was an Indian-American astrophysicist who, with William A. Fowler, won the 1983 Nobel Prize for Physics for key discoveries that led to the currently accepted theory on the later evolutionary stages of massive stars. The Chandrasekhar limit is named after him. Dr. Chandrasekhar was the nephew of Sir Chandrasekhara Venkata Raman, who won the Nobel Prize for Physics in 1930. This list could be multiplied many, many times. It is just a glimpse of scientists who were able to pursue their passion for science while practicing a religious faith. To be sure, there are many distinguished humanist and atheist scientists as well. But it is misleading to assume that all scientists lack a religious perspective or a spiritual life even though they might be in a field that is challenging popular religious assumptions.